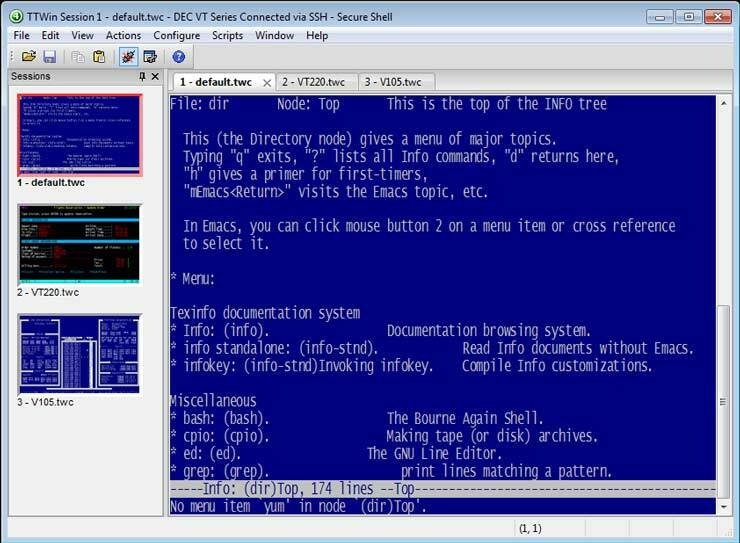 Comprehensive terminal emulation for Windows® operating systems. 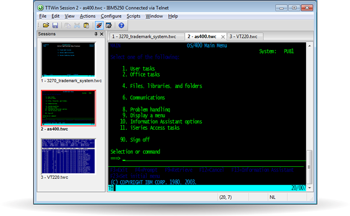 TTWin 4 is the latest evolution of Turbosoft's premier Terminal Emulation software. The culmination of 30 years of experience in providing high quality terminal emulation solutions, Version 4 of TTWin maintains the highest level of accuracy, quality and reliability across a wide range of protocols and terminals. TTWin 4 introduces new features designed to improve automation and terminal enhancement as well an updated interface and technical additions that will ensure your terminal emulation software remains relevant and compatible with modern desktop and network environments. 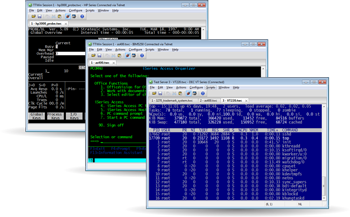 As always TTWin continues to offer high quality, reliable and accurate emulations for more than 80 different terminal emulations and numerous communications protocols giving users access to all hosts from the one product. 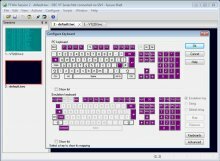 Keyboard, hotspot, mouse events may be customized to execute menu commands, macros, scripts, emulation keystrokes and more. The table below illustrates the range of terminals emulated by TTWin 4. The Red, Green and Blue columns denote the three different 'packs' that TTWin is distributed in. The only difference between these packs are the terminal emulations supplied in each. To download a free, fully functional demo of TTWin4, please visit the trial software page. The choice of native 64 bit and 32 bit versions, TTWin is available for your current and future Windows operating system. TTWin supports both IPv4 and IPv6. When you need to make the transition, TTWin has the capability. 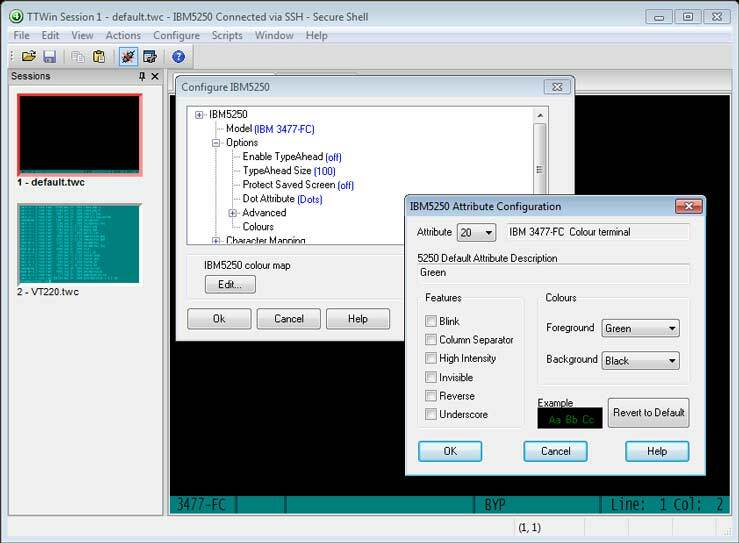 The emulations you need are available in the one pack, at the one price. TTWin provides the power to create an individual environment to meet the specific needs without compromise, future proofing your organization. TTWin's keyboard mapping is extremely flexible. 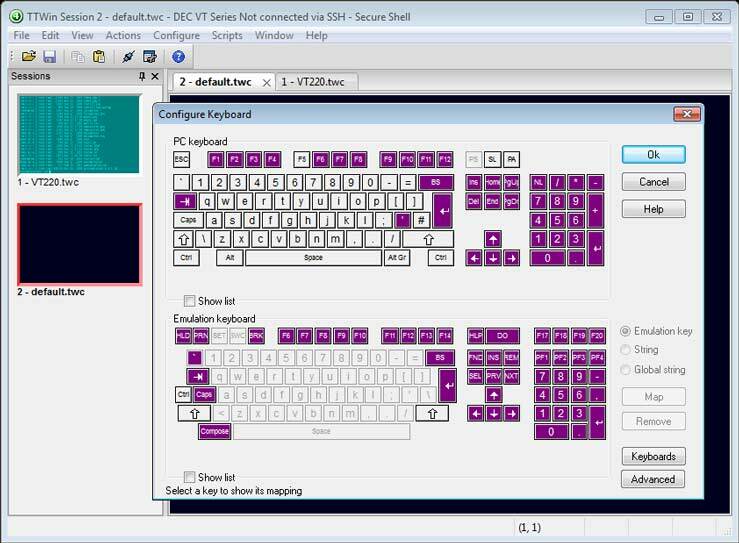 Users can map text strings, macros, host sequences or emulation keys to any key combination on a PC keyboard. 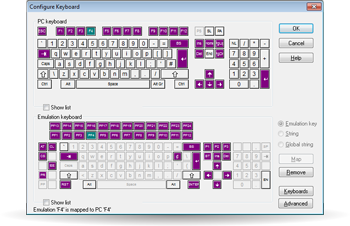 Keyboard mapping may be performed either through the intuitive graphical keyboard mapper, or through the non-graphical method. Turbosoft regards data security to be an essential part of a terminal session and as such, we supply industry standard encryption as standard. TTWin has extensive support for pass through printing. This function is totally configurable and implements print through in a way that is highly effective in every environment. Screen printing is also supported, allowing regions of the screen to be printed. 3287 and 3812 support is offered for printing with IBM 3270 and 5250 emulations. ActiveX API, HLLAPI support, Hotspots, a built in scripting language and macros help automate complex tasks and customize host interaction. A smart Macro Assistant, new in TTWin 4, makes creating complex macros quick and easy. TTWin allows you to create your own Hotspots providing a Windows style of point-and-click style functionality. Hotspots can be employed to simplify complex tasks, enhances productivity and improve the user experience. TTWin has powerful character selection facilities to cater for the complex character set requirements found in many languages. TTWin comes with full code page support. Emulations may use as many code pages as required. What's more, each emulation can do this independently from other sessions. TTWin version 4 offers support for double byte character fonts, such as Chinese, Korean, and Japanese language fonts. TTWin's powerful scripting language offers a wide range of possibilities for automating tasks, improving the user experience and enhancing legacy applications. 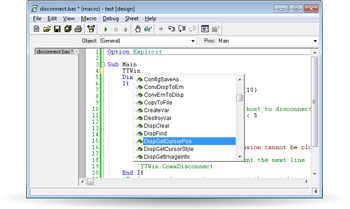 It's based on Visual Basic for Applications (VBA) and includes an Integrated Development Environment for rapid learning, developement and debugging. Use TTWin's OCX Interface to take advantage of Turbosoft's proven and powerful terminal emulation capabilities and integrate the functionality of TTWin into your application.